A funny thing happened on the way out of the office on a Friday evening. It turned out that Gerry Hussein, ­the organiser of the Brighton and Hove Ethereum Meetup group I had just joined a few days earlier, ­works in our building. In fact just two doors away from our office! Gerry is a business analyst and an advocate of new, potentially disruptive technologies in both the social and business realms. I on the other hand needed an excuse to play with an exciting piece of tech called Blockchains ­an implementation of which is, you guessed it, Ethereum. At BrightMinded we wanted to see who else was exploring Blockchains and / or interested in building a community of Blockchain developers and enthusiasts. 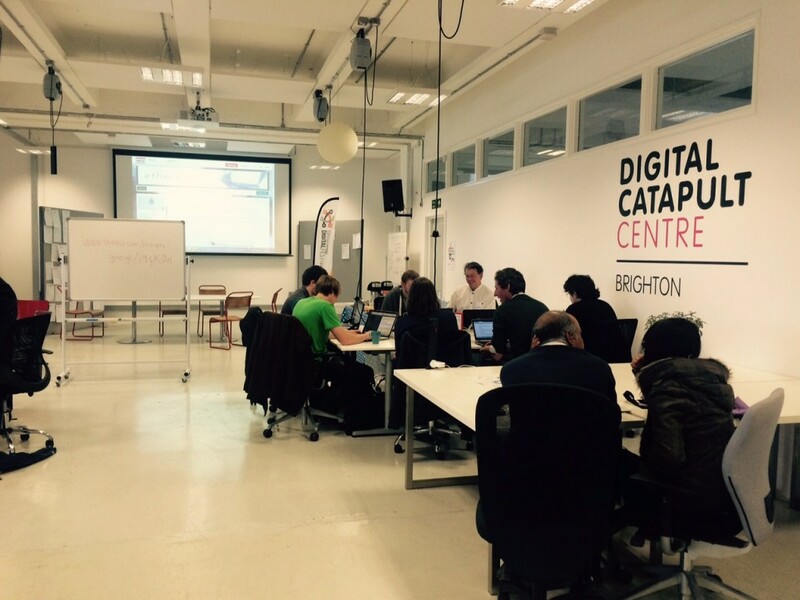 We submitted our application to the Brighton Digital Festival organisers and a few days later, out of the blue, the Digital Catapult Centre Brighton team contacted us offering support. 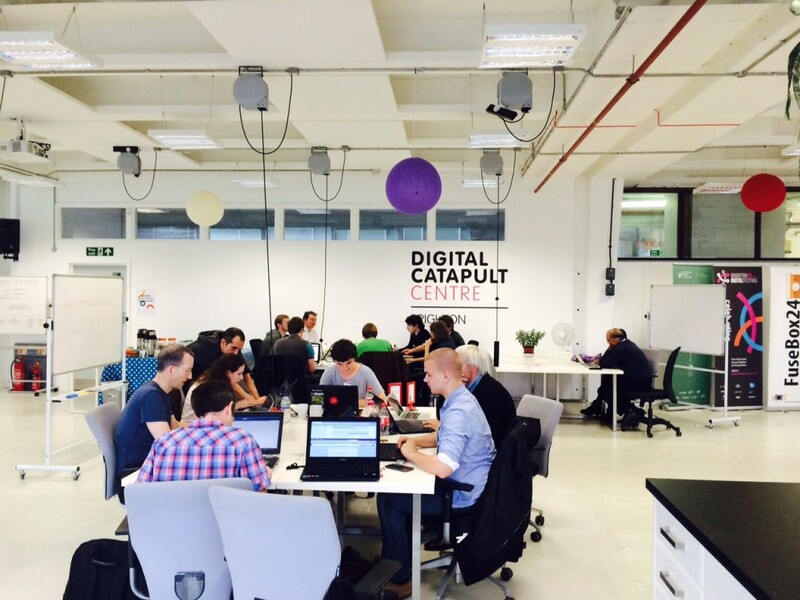 We had a great meeting with representatives from Wired Sussex and the Digital Catapult Centre Brighton, and in no time they had offered us a great venue to host the event ­at: The Fusebox. The day was a great success with around 35 people attending the morning and afternoon sessions. For the first session of our event Gerry invited Vinay Gupta of Ethdev to give a talk on the possible political and economic consequences of the Blockchain technology. He gave a very interesting historical perspective on the independent evolution of three of the most far-reaching technologies of the last 50 years: cryptography, databases and networks and how Blockchains for the first time blend these together in a way that empowers the individual to transcend legal and political boundaries as well as supports visions of autonomous global governance. For our second session of the morning we had Joey Krug from Augur over Skype. Joey is helping to develop the first decentralised Prediction Market platform that uses the so-called wisdom of crowds to predict future events. Which events? Any event that someone can phrase as a question, for example: “Will Donald Trump win the republican nomination for 2016?”. People can buy and sell shares in the outcome of an event and the share price at any time reflects the probability of the outcome as estimated by the market. They use a Blockchain, specifically Ethereum, to “digitise” all the share transactions so they don’t have to deal with the complications and practical problems of having to manage real money on behalf of the market. What I found super interesting was that they used the Blockchain to also mediate how the real­world outcome of an event is truthfully established (which incidentally also highlighted a current limitation of Ethereum/Blockchains ­Ethereum contracts: they have no way of making requests to external services). The Lab, my favourite part of the day! Dan, Teemu and I from BrightMinded facilitated a half-­day lab where we got down and dirty with Ethereum. Around fifteen of us with different backgrounds and expectations proceeded to work our way towards creating a local private Ethereum Blockchain network. Most of us got “rich” in minutes as our laptops “mined” Ether (Ethereum’s virtual currency) out of nothing. We wrote our first smart contracts and cheered as these contracts were “mined” into the Blockchain. More fun again seeing someone else successfully invoke a smart contract you’d written! Overall my hopes were met with flying colours. Within the perfect setting of The Fusebox we managed to demystify a lot of the more obscure ideas behind Blockchains. We could see with our own eyes what mining means and what smart contracts are, how they are made and how to interact with them. Lightbulbs were appearing over people’s heads as we understood and discussed what could be done. Our event has highlighted that there is a genuine interest in Blockchains from a wide range of perspectives due to the global impact that such technology can have. At the same time its intricacies and complexity are real and profound and there is still quite a bit of confusion pervading the discourse. 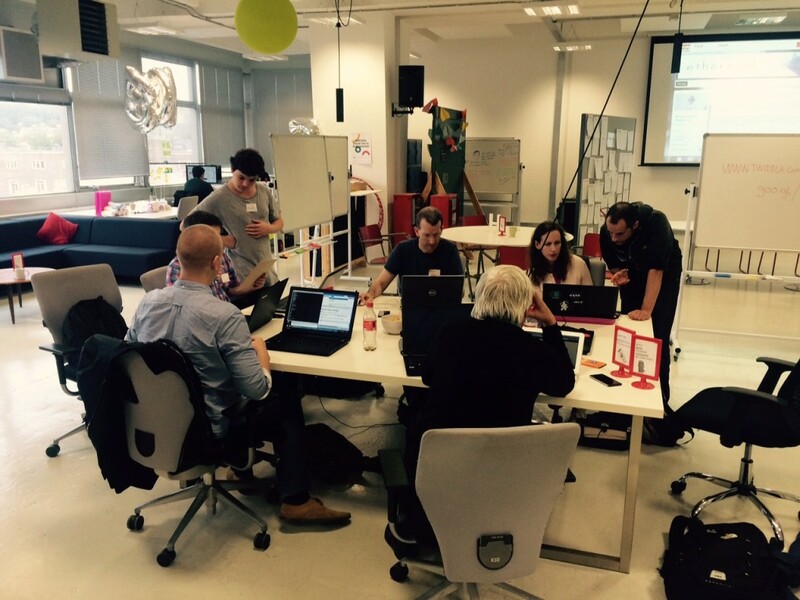 On the wings of the lab session’s success, I for one would like to see a real community with real projects emerge and we are already discussing with the Digital Catapult Centre plans for our next event where we are hoping to start work on concrete applications and tools with like­minded hackers.